We’re already two weeks into September and now I think we can all conclude that the summer movie season has ended. So for today, I’m asking what was your favorite movie of this summer? I’ve said it before, but Richard Linklater’s Boyhood is one of the most extraordinary films I’ve seen in some time and isn’t just the best picture I saw this summer but of the year thus far. But what about you? Best theatrical film: Guardians of the Galaxy. Best non-theatrical film I saw during the summer: The Truman Show. Haven’t seen Guardians of the Galaxy, I’m not into superhero movies. I actually watched the last half of The Truman Show a few months ago (I’ve seen it before) and enjoyed it. Probably have to go with Guardians of the Galaxy, really looking forward to seeing it again. As Captain America: The Winter Soldier came out during Spring (April), I’d have to say Edge of Tomorrow, with Guardians of the Galaxy a close second. I’m with you on Boyhood. My film of the summer (and the year to date). In fact I’m off to see it again next week. I’ve missed a few that I’d hoped to catch, as always! I’m really hoping to watch that again, a spectacular film for sure. I still haven’t had the chance to see Boyhood (hoping to this week! ), but my favorite summer movie so far is Snowpiercer. Snowpiercer is a movie I’ve been meaning to see for quite some time. And I can’t under-exaggerate how good Boyhood is. Blockbuster = Edge of Tomorrow/Dawn of the Planet of the Apes. Non blockbuster = Boyhood, without doubt. Can’t go wrong with Boyhood. Haven’t seen the other two though. I’d say Dawn of the Planet of the Apes w/ Guardians of Galaxy a distant second. 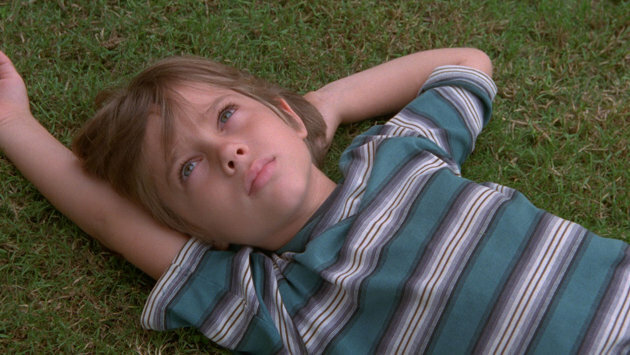 It had to be Boyhood, such a transcendent masterpiece.